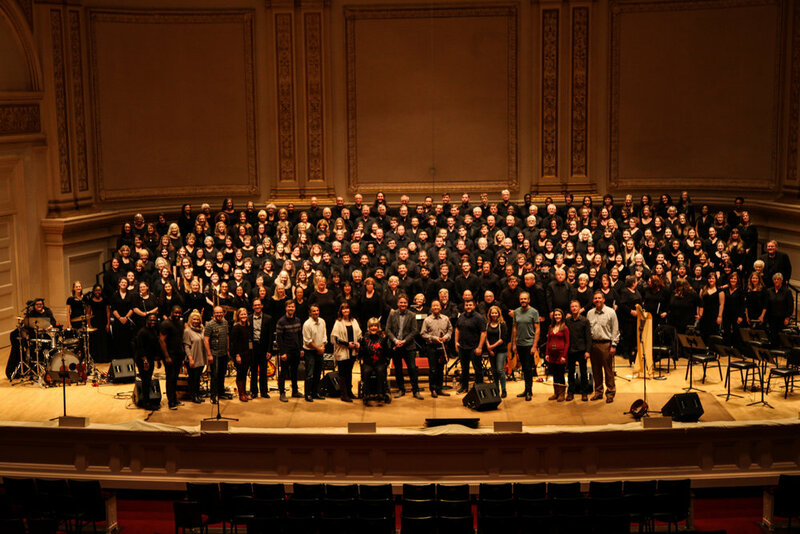 Welcome to the 2018 NYC Carnegie Hall Stage Choir registration page! We hope you'll join us in NYC and sing with us on the historic Carnegie Hall stage this Christmas. It all begins on Dec 12th at Noon with our first rehearsals in NYC, continuing through the day, and ending our day with an exciting evening of caroling in Rockefeller Center. We move to Carnegie Hall on Dec 13th for a concert experience you'll never forget. Invite your friends and family to join you in NYC to attend the concert or sing with us on-stage. There are special discounts for groups of 10 or more. Contact us at scott@gettymusic.com for more information. December 12-13, 2018. Rehearsals begin at 1:00, with onsite check-in at Noon. Please click the "Register" button below. A credit card payment of $245 USD is required to complete your registration.